The past few years have seen the character of Moon Knight undergo a renissance of sorts. In the past five years alone some of the best creators in comics have contributed their talents to the Moon Knight mythos. 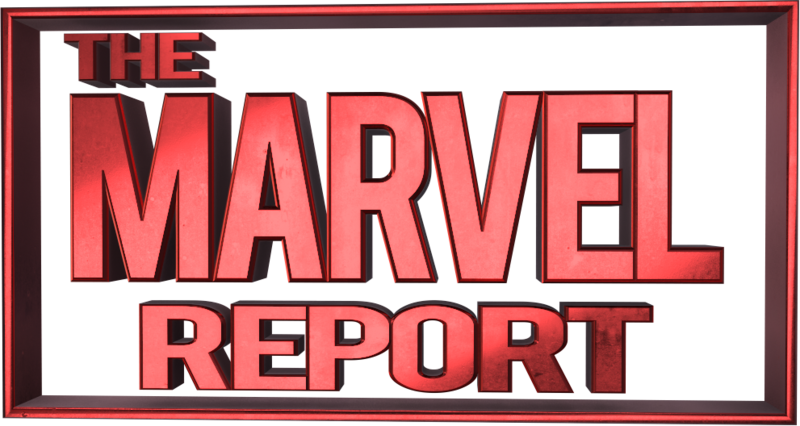 Names such as Bendis, Maleev, Ellis, Wood, Shalvey, and Bunn helped turn a b-level superhero into the star of one Marvel’s best titles. Following in the footsteps of greats are superstar writer Jeff Lemire, and artist Greg Smallwood. Lemire is widely considered a top name in the industry who has written Green Arrow for DC, and currently writes Extraordinary X-Men, All-New Hawkeye, and Old Man Logan for Marvel. Meanwhile, Smallwood is perhaps best known for his work with Brian Wood on the previous volume of Moon Knight, and Jordie Bellaire is arguably the most prolific colorist in the business. This is a decorated creative team, and anticipation for this series has been slowly growing. Marc Spector has spent his entire life in the mental hospital where he currently resides. 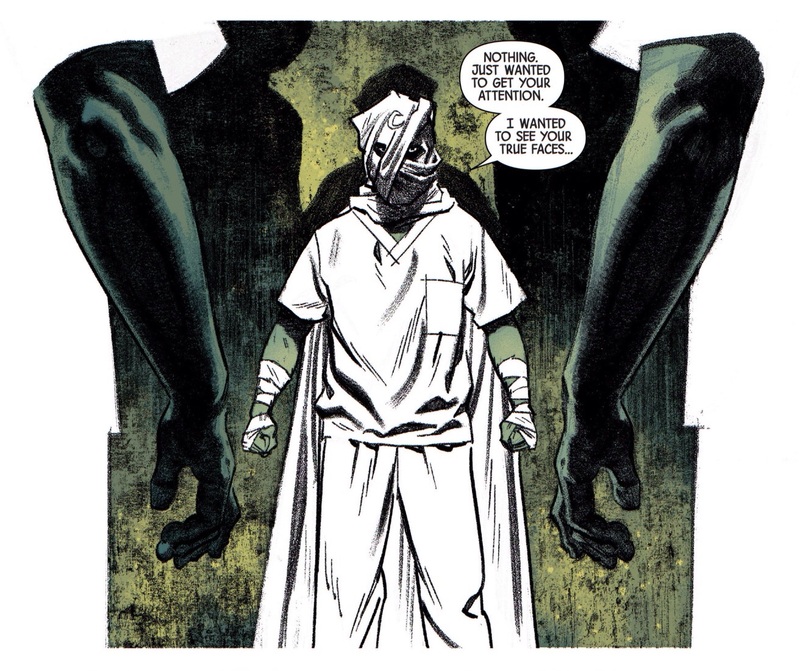 He is abused by the facility staff, and is told by his doctor that his alter ego, Moon Knight, is a fantasy. Moon Knight is a delusion that has persisted since Marc was a young boy, and that all of his adventures have been in his head. Something isn’t right though, and not all is what it seems. Marc recognizes fellow patients from a past life, and someone, or something called Khonshu keeps calling out to him. One of Moon Knight’s defining characteristics is that he may very well be crazy. Marc Spector’s instability is one of the things that sets him apart from characters like Batman, or Daredevil. Oftentimes this can be attributed to the fact that he believes he is serving the will of the Ancient Egyptian god of the moon, Khonshu. Lemire introduces all of this within this first issue, but with a mysterious twist that we haven’t seen before. When the story opens, Marc Spector finds himself in a mental institution. We don’t see how Marc ended up here, but we are told that he has been there his entire life. Is that even possible? While we would expect the answer to be a resounding no, Lemire seems to be setting this up as the story’s central mystery. 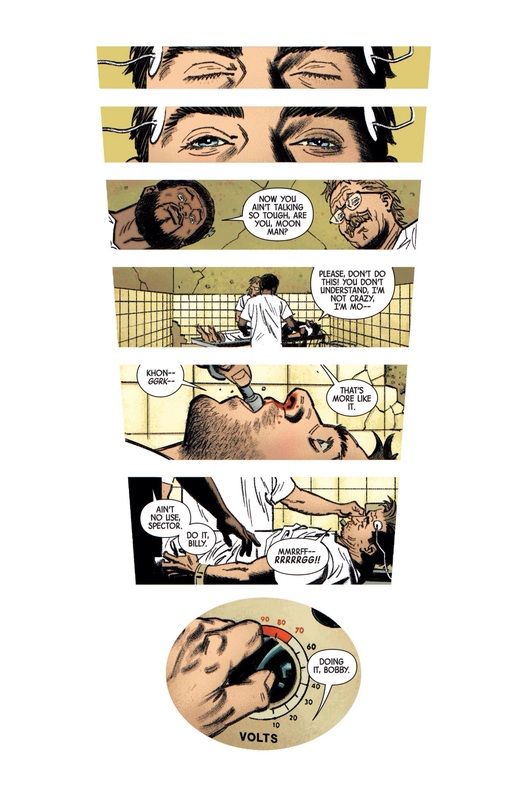 Moon Knight’s history of being crazy allows for just enough suspicion to seep in that the concept works really well. Lemire does a great job of putting enough out there to keep readers guessing as to the actual nature of what’s going on. This opening issue does a great job of establishing the tone of the series. For those of you unfamiliar with the character, Moon Knight is one of the darkest characters at Marvel. The creative teams takes full advantage of that here, especially when it comes to the institution. There’s an old school asylum feel to the setting that makes the issue feel even darker. While there’s a lot of setup, Lemire is able to squeeze a few bits of action. In less capable hands this could have ended up a bit boring, but Lemire wisely leans on the talent of his artists to take the story to the next level. The mystery is setup, and I’m more than intrigued to see where the story goes from here. 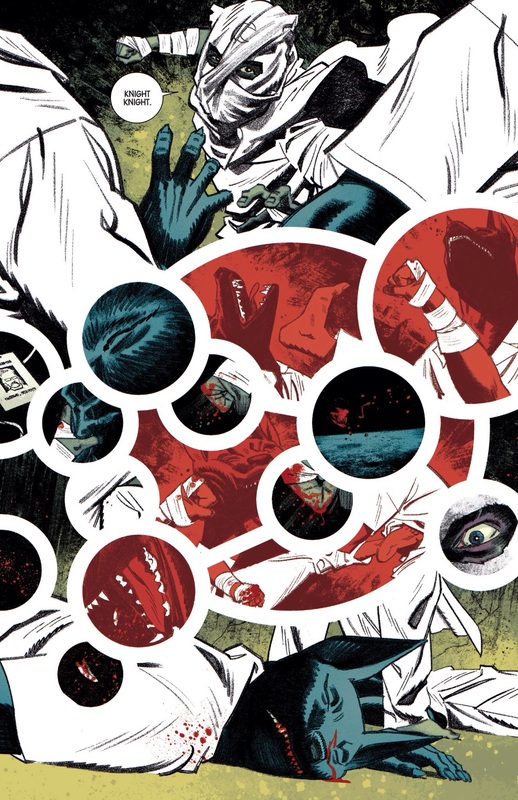 Greg Smallwood already has a string of really good looking issues of Moon Knight under his belt from his six issues run with Brian Wood in the previous volume. It’s safe to say that those issues pale in comparison to what the talented artist has achieved with this first issue. This is probably the best work of Smallwood’s career. One of the most impressive feats that Smallwood is able to pull off is his ability to switch up styles depending on the situation. When the action takes place in Marc’s head, Smallwood is able to channel some of the all time great Moon Knight artists. The result are beautiful sequences inspired by the likes of Bill Sienkiewicz, and Alex Maleev. During the scenes in the mental institution the pencils are a bit more traditional looking, but the level of storytelling remains at a very high level. One of the highlights of the entire issue was a scene that sees Marc receiving shock therapy. The storytelling from just the panel layout alone adds another layer to the proceedings, and brings even more life to the pages. The same can be said about Jordie Bellaire’s color work. She has established herself as one of the absolute best in the business, and that trend continues here. 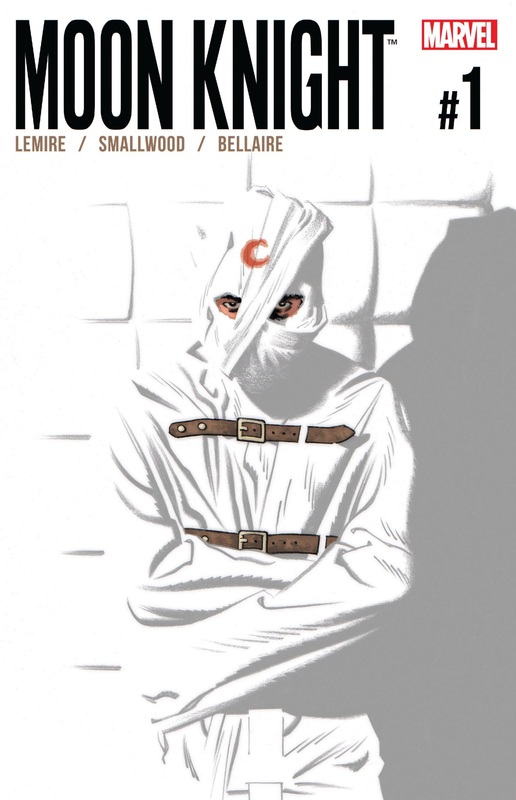 Whether it’s the choice to not use color to bring out the whiteness of the mental institute, or using red to highlight the possible Iimportance of specific characters, it’s hard to overstate the importance of Bellaire to the success of this issue. 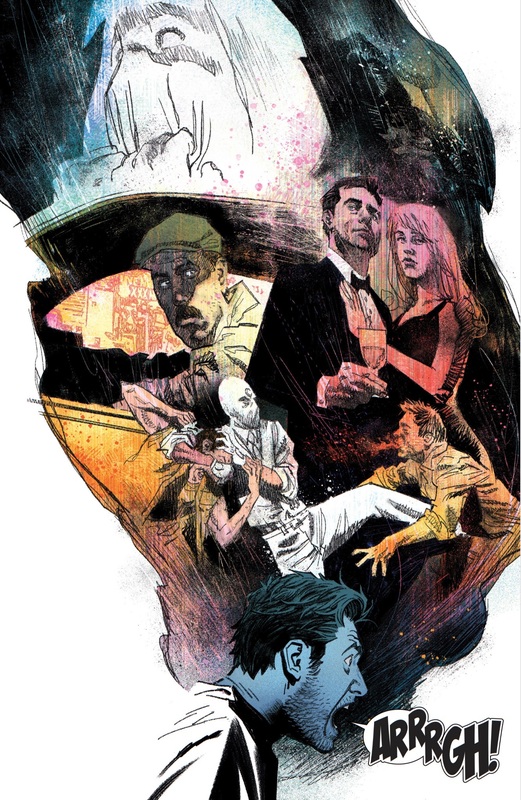 Lemire, Smallwood, Bellaire, and everyone involved with Moon Knight #1 brought their A-game. Lemire sets up an intriguing mystery that plays off the history of the character without being bogged down by continuity. Meanwhile, Greg Smallwood’s art is superb, and Jordie Bellaire shows us all once again that her work is invaluable to her titles. As expected with Moon Knight, the tone is a bit darker than most Marvel comics. For readers that don’t mind their comics a bit on the bleak side, I think they’ll find a lot to like about this issue, and not much to complain about. This was a stellar start to the new series, and I can’t wait to see what happens next.